New Urban Decay Naked 2 Basics: Matte Shades! $29! I’m abnormally obsessed with my Urban Decay Naked Palettes but I was excited when I noticed this new Urban Decay Naked 2 Basics Palette that I don’t have! It’s $29 so it’s more affordable than the original Naked palettes. It’s smaller (hence the price drop) but I like that it includes some matte and toned-down colors. While I do like the sparkle that comes with most of my Urban Decay eyeshadow colors, sometimes a girl just needs a more neutral tone to get through the day. And it’s a great size to stick in your purse! 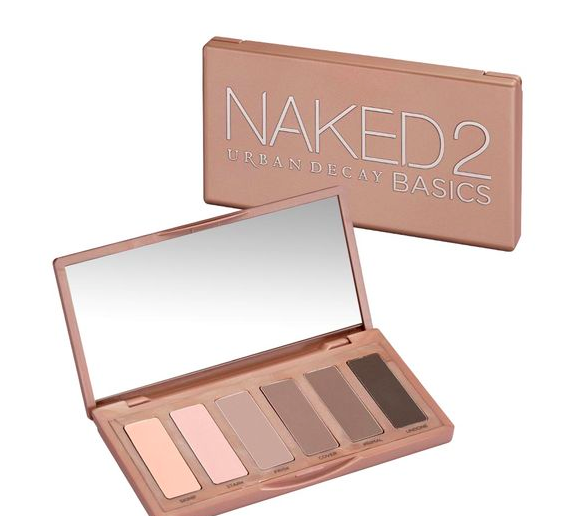 Urban Decay Naked 2 Basics Palette at UrbanDecay.com for $29.